Is Your Floor or Wall Flat Enough for Large Format Tile? How prepared are you for installing Large Format Tile (LFT) and ensuring you have a surface that is adequately flat? It’s a big deal and worth considering before you get started. Large Format Tile is growing significantly! Tile sizes are increasing. Large format tile has grown from the old 8” x 8” to 12” x 12”, 12” x 24”, 24″ x 48″ and beyond. You’ll even find Gauged Porcelain Tile (GPT) and Gauged Porcelain Tile Panels/Slabs (GPTPS) ranging from 1 meter x 3 meters (roughly 39” x 10’) up to 1-1/2 meters x 3 meters (almost 5’ x 10’). Not only are sizes increasing, but larger sized tiles have been fully embraced by home and building owners and specifiers. 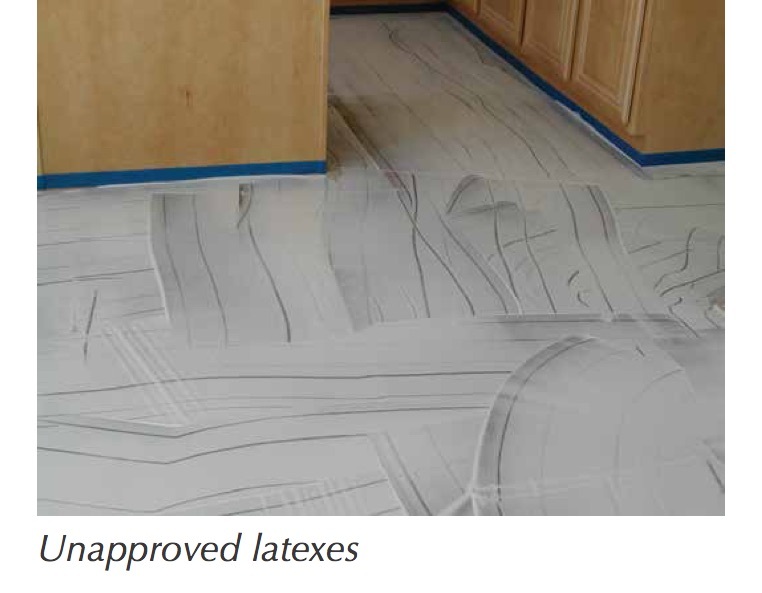 As a result, tile installers must know how to accommodate inherent warpage associated with large format tile, as well as how to provide (and get paid for doing so) a surface that will allow these products to be installed without lippage or at least within the allowable tolerances provided in the ANSI documents. How to determine the condition of the floor or wall? Determining the condition of the floor or wall is relatively easy by using a ten foot straightedge. Simply mark the substrate with some method such as circling the low spots and placing an X on the high spots to quickly show where the work is needed to meet the ANSI specification. 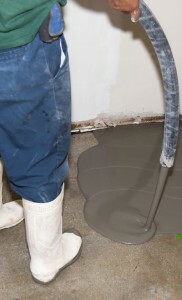 Then, use a combination of cementitious patching compound (either trowel applied or self-leveling) to fill the low spots and grind down the high spots. This will normally provide a surface that will be suitable for installing tile within the prescribed tolerances. By the way, you should never use thin-set or large and heavy tile (formerly medium bed) mortars to flatten the surface. Notice in the image above taken during an Advanced Certifications for Tile Installers (ACT) test, how the installer is using a long straightedge to determine if the trowel applied patch is flat enough to receive a 12” x 24” porcelain tile with a 1/8” grout joint and still be within the lippage requirements. Realize that the allowable lippage for this tile installation under ANSI Specification A108.02- 4.3.7 is just 1/32” (about the thickness of a credit card). Before installing large format tile, look at the surface! Is it flat enough? Before starting your next job, look carefully at the surface that is to receive tile. What will it take to make it flat enough to install large format tile? Identifying how and requesting a change order before the job starts increases your chances of getting paid for the quality work you have provided. And, don’t even think of trying to “fix” the floor or wall surface as you go with thin-set mortar! That will almost always result in an unsatisfactory finished product. Do your customer and yourself a favor, do it right… the first time. Business Development Engineer, Pliteq, Inc.
Over the past 10 years, multi-family construction has increased demand for hard surface flooring, whether this be tile, stone, engineered wood, or vinyl plank. Unfortunately, these hard floor coverings accentuate sound vibrations, which lead to complaints from residents. When sound enters high-rise concrete structures, it travels through the concrete as vibration and radiates into multiple units, disturbing occupants. Installing a high-performance acoustical underlayment underneath the finished floor prevents these vibrations from entering the structure. This interstitial layer between the finished floor and concrete structure decouples the contact points, limiting excess impact noise or any other vibrations caused by the structure. The International Building Code (IBC) has mandated multi-family construction to meet certain levels of sound attenuation in two classes, sound transmission class (STC) and impact insulation class (IIC). These classes take care of airborne (STC) and impact (IIC) noise. Airborne noise includes loud music, yelling, singing, etc. Impact noise can be caused by activities like high heels, moving furniture, or dancing. Ratings are given to a floor-ceiling assembly when it has been tested in a third-party NVLAP accredited laboratory. Ratings mandated for minimum levels of sound control are STC/IIC 50 when tested in a laboratory and STC/IIC 45 when tested in the field. If these levels are not met, developers, architects, and contractors may be liable for the repairs needed to meet IBC and local building code requirements. Some manufacturers take advantage of these simplified standards by providing a test report that is high performing but not representative of real-world conditions. Many developers, architects, and contractors believe if there is a test report with a rating above minimum code, the products included will be acceptable for that building. This is not always the case, since laboratory and field tests can be manipulated to show false ratings of products presented. Understanding how tests are performed is the best way to distinguish between materials that are qualified to meet the IBC requirements and those that are not. The most important detail to understand is that one acoustical underlayment does not achieve an IIC rating on its own. The entire floor-ceiling assembly, including the finished floor, acoustical underlayment, subfloor structure, and ceiling details, is required to achieve these ratings. One of the biggest discrepancies when testing an assembly is an IIC rating of a bare concrete slab compared to one with a drop ceiling. An 8” bare concrete slab on its own will not meet IIC 50, but with a 10” drop ceiling full of insulation, it will reach IIC levels into high 50s or low 60s. Manufacturers may use drop ceilings to help boost their underlayment and show higher results. Issues arise when the floor-ceiling assembly of a design calls for a bare slab and the specified product was tested with a drop ceiling. When choosing an acoustical underlayment for tile and stone, two major properties should be met: acoustics and crack isolation. Acoustics can be verified through a third-party laboratory test or a field test conducted by an acoustical consultant using ASTM E492, E90, and E1007 standardized test methods. Crack isolation can be verified using ASTM C627 Robinson Wheel Testing to meet minimum residential ratings. Companies that provide a significant amount of testing on both fronts insure results to architects and developers. Specifying products from these companies leads to confidence in a finalized product and overall fewer complaints from building occupants. Ryne Sternberg is a chemical engineering graduate of Penn State University, and business development engineer with Pliteq Inc. – an engineering firm dedicated to providing products that will satisfy acoustical standards, crack isolation of tile and stone as well as any other requirements placed on floor-ceiling assemblies of design. All products are derived from recycled rubber content, which achieve the best vibration and acoustic results and contribute to LEED. These products are backed up with over 700 completed laboratory and field test reports. For more information, visit www.Pliteq.com. I call Las Vegas the Petri dish of waterproofing, because Las Vegas has more hotel rooms (over 160K) than any city in the country. With demanding, fast-track construction schedules, and streaks of stubborn “wild west” independence, what winds up in shower pans and wet areas sometimes can resemble a lab experiment gone awry. The demand for luxurious, durable, and safe showers, spas, and wet areas spawned twin challenges to hotel and casino owners. The “durability challenge” forced hotel/casino owners to get creative in their mission to eliminate failing shower pans and wet areas. The “safety challenge” tasked these owners with banishing the threat of microbial growth – aka mold – in stud-wall cavities and other areas of the guest environment. A small army of forensic experts, waterproofing consultants, and risk-mitigation attorneys, hired by the hotel owners, turned their attention to the challenges outlined above in 2004-2005. They first focused on movement concerns, and the impact on waterproofing longevity. It came as no surprise that the areas around the drain, the pan-to-wall plane transition movement joint, and saw-cut, cold joints areas had higher incidences of failure if the waterproof membrane could not tolerate these movement forces. Membranes meeting high-performance standards to the rescue! 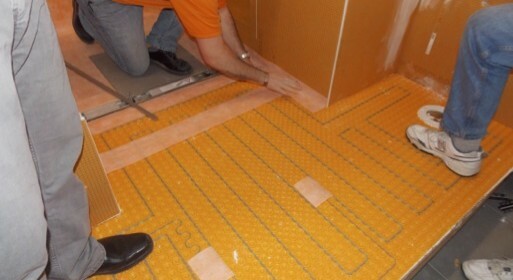 In the end, job site variables, varying levels of installer competence, and independent, third-party product test results were all factored into the solution path: waterproof membranes that met the ANSI A118.12 high-performance standard were less prone to failure in these areas of movement concern. ANSI A118.12 high performance means the membrane and tile can withstand 1/8” of movement before failure of the system. There are products from various manufacturers that meet this requirement. Architects ensured these performance metrics would be maintained by requiring all performance/test data on any product be conducted by independent, third party testing agencies. This evolution in specifications for waterproofing/crack isolation is not a closed or proprietary specification solution. There are numerous Division 9 allied-product manufacturers who can supply this type of waterproof membrane. Also, this evolution of high-performance waterproof/crack isolation membranes does not marginalize or discredit waterproof membranes that meet the standard level of 1/16” of movement before failure. These products have offered decades and millions of square feet of successful, waterproofing/crack isolation. With the advent of an objective testing method of ANSI A 118.12 to quantify membrane performance, and with the ever-more-demanding owner/client wanting take every precaution, there is an undeniable move in Division 9 specifications towards referencing this ANSI standard as an objective benchmark of waterproofing/crack isolation performance. As we touched on earlier in our discussion, permeation, (i.e. steam), has become another important performance metric to take into account when selecting the waterproof membrane for your project. Those of us with a few years in the tile industry will recall when installations consisted of a loose-laid shower pan, floated walls, cement backer-board, and unfortunately – in some areas of the country – green board. Back then there seemed to be a lot fewer concerns or evidence of mold making its way back into stud-wall cavities, or other areas of the home. Houses back in the day were able to breathe, and showers of that time were a lot more utilitarian, as were the attitudes about how much time was spent there. Construction methods, shower design and technology, and our own evolving attitudes about the duration and frequency of showering have resulted in a lot more steam in the shower. How much steam? Well, those same Las Vegas casino/hotel owners who tasked their waterproofing army with finding a solution to movement concerns in waterproofing, also set out to identify the critical path towards stopping vapor migration penetrating areas outside the shower. Their findings can be distilled down to this: hospitality showers, locker rooms, health clubs, university student gang showers, and hospitals can generate so much steam with the frequent and long nature of these showers that they are in reality mini steam-room environments. The upsurge in mold remediation cases, and situations where steam had migrated into stud-wall cavities and living spaces, was the result of the perfect storm of changing construction methods, which gave us tighter, less breathable buildings and showers. At the same time our culture has been trained to view showering as an experience, an escape, to be savored – not rushed. Consider a resort hotel, with a family of four, and the time they will spend in that shower. It is no wonder that seemingly overnight, there seemed to be a tidal wave of vapor-migration/mold issues. The images scattered throughout this article, courtesy of Charles Nolan, Millers Flooring America, Lafayette, Ind., show the kinds of failures that result from when low permeation waterproofing membranes are not included in steam and wet-area installations. Again, the solution was – and is – elegantly simple: if you are faced with a waterproofing/vapor-permeation condition that exhibits a steam room level of steam/vapor, specify and install a waterproof membrane that is suitable for steam room applications. In this area, do not waiver. The only membranes to be specified and installed, if you are going to address the mini steam-room conditions noted earlier, are membranes which comply with ASTM E-96. There are more than a few instances in which a tile contractor assumed his favorite shower pan membrane could rise to the occasion of stopping vapor migration, and alas it could not – and it did not – achieve that goal. In my own travels I have seen a waterproof membrane used on the shower walls in a four-star hotel, and when the walls were peeled back after three-and-a-half years, there was black mold nestled in the stud-wall cavities. This solution is also not closed, or proprietary: there are a number of waterproof membranes, available from a variety of manufacturers, that can meet the requirements of ASTM E-96. But at the risk of sounding redundant: INDEPENDENT THIRD PARTY TESTING is the ONLY way one can be assured a product’s claims are legitimate. There are a number of quite reputable manufacturers who rely on their company’s marketing department, or their own in-house tests to suffice. Architects and specification writers may employ language in their documents that requires all testing to be third party ONLY. The performance requirements of waterproofing in wet areas and showers have become more demanding as construction methods have changed, coupled with lifestyle changes that place more demands on the shower environment and wet areas. There always will be a good/better/best option for waterproofing, crack isolation, and permeation, but in the space provided here we have made note of best practices with regard to ANSI A118.12 and ASTM E-96 and how they provide an effective pathway to superior performance. Noble Company, founded in 1946, manufactures premium-quality sheet membranes and shower elements for tile installation, including waterproofing membranes, linear drains, niches/benches, pre-slopes, shower bases, adhesives and sealants for the plumbing and tile industries; engineered antifreeze/heat transfer fluids and accessories for heating/cooling and freeze protection for fire sprinkler systems. The company is headquartered in Spring Lake, Mich., with manufacturing facilities there and in Baton Rouge, La. www.noblecompany.com. 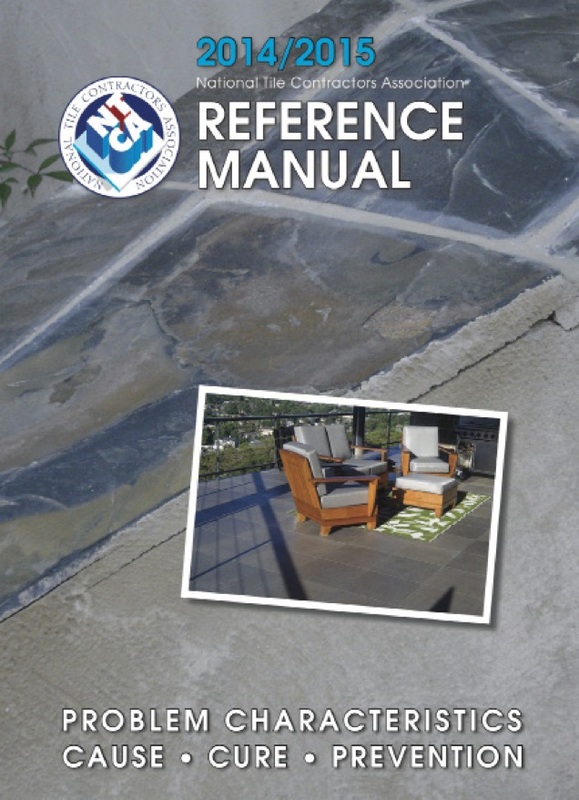 The NTCA Reference Manual, an essential industry document, explores the subject of underlayments in Chapter 3. This publication is free as part of NTCA membership or can be obtained through the NTCA website at www.tile-assn.com. 1. 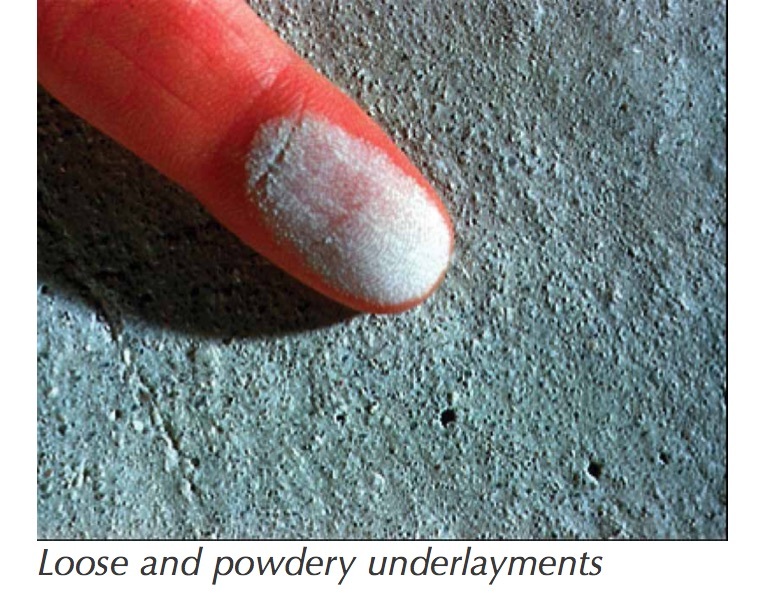 Gypsum-based underlayments are predominantly composed of various grades of gypsum, chemicals to control set time, and may be sanded or unsanded. They may be mixed with water or a latex admixture, but are to be used only in dry areas, since gypsum-based materials are highly sensitive to moisture. These materials are normally used by the resilient flooring mechanic for patching small holes, cracks or for correction of thickness variations of adjacent flooring materials. However, larger areas may be leveled with products that require 3/4” minimum thickness over wood and 1/2” over concrete substrates. Gypsum-based underlayments are not recommended for use under ceramic tile or stone. 2. Cement-based latex underlayments are composed of cement, aggregate and are mixed with a latex additive. Most instructions recommend the application of a slurry coat to the substrate made from the powder and the latex additive. This slurry is only allowed to dry to a tacky condition before application of the normal mix. It normally requires sanding after curing to remove trowel marks and for further leveling. 3. Self-leveling underlayments are composed of cement, aggregate and chemical modifiers that increase flowability and strength. Substrates are normally primed with a latex material that serves as a bonding agent and a sealer. Most self-leveling materials may be mixed with water or with latex admixtures. The NTCA Reference Manual also presents a table of Problem- Cause-Cure parameters for some common problems that arise when using underlayments. Following are the categories of underlayment woes and the problems that contribute to the difficulty. Improper preparation of substrate. 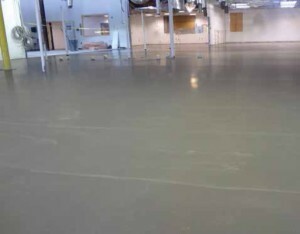 Applications of material over dust, dirt, curing compounds, old adhesives, spalled or soft concrete, etc. Failure to prime the substrate according to directions on the product. Diluting latex additives with water. Mixing product with too much water or latex. Bridging expansion joints, control joints, or slab cracks. Application of material exceeding thickness restrictions. Exposure to excessive wind or direct sunlight during initial curing stage. Mixing underlayments with too much water or latex. Using gypsum-based materials in areas subject to moisture. Using cememt-based underlayment over gypsum underlayment. C472. Poured gypsum underlayments are suitable for interior substrates only, above grade, and in areas not subject to constant water exposure or immersion. There are currently four approved methods the TCNA Handbook uses for poured gypsum underlayments in tile installations. Poured gypsum floors are made with a job site mixture of powder and water and require time to dry before they can be primed/sealed and tiled. Verification that the gypsum underlayment is dry can be determined in accordance with ASTM D4263: Plastic Sheet Method. This test process shall be performed by the gypsum installer, prior to the application of any primers/sealers. Do not proceed with the tile installation until the poured gypsum is deemed dry and has been primed/sealed. As a general guideline, the following drying times should be observed prior to testing the surface for dryness. In general, ceramic tile is not bonded directly to gypsum underlayments. While each manufacturer of these materials has their own specific requirements, the use of a primer/sealer or a primer and membrane is required. Any exceptions to this recommendation are proprietary in nature and suitability rests solely with the gypsum manufacturer. Some gypsum manufacturers recommend the use of a primer/sealer over the surface of the dry gypsum before installing any membrane or setting material directly. Also referred to by some as a “sealer” or “overspray,” the use of these primers is intended to prevent the gypsum from absorbing water from the setting material, which can result in poor adhesion. Please note that while you may not have installed the poured gypsum, you must verify that the primer/sealer was applied in accordance with the manufacturer’s recommendations, after the gypsum floor was deemed dry. The Tile Council of North America and some gypsum manufacturers recommend the use of membranes in addition to the primer prior to installing the tile over their poured underlayments. For the purposes of these applications, membrane is as defined by ANSI A118.12 for crack isolation or ANSI A118.10. Check with the manufacturer for their individual requirements. NOTE: The tile contractor shall obtain written documentation verifying that the poured gypsum floors have met or exceeded the minimum compressive strength of 2,000 psi and minimum density requirements of 115 lbs. per cu. ft. per ASTM C472, has been tested per ASTM D4263 and deemed to be dry, and has been primed/sealed in accordance with the manufacturer’s recommendation. This information shall be provided to the tile contractor by the general contractor, owner, builder or certified poured gypsum installer. NOTE: The requirements of this document exclude patching compounds. 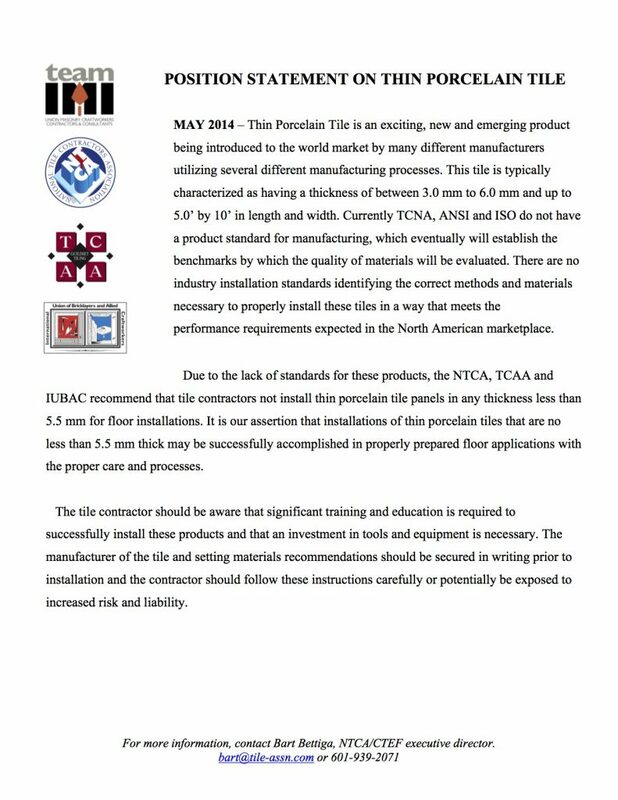 The NTCA, along with other leading tile installation trade associations, has released a position statement on thin porcelain tile. For more information on this statement, contact Bart Bettiga, NTCA executive director. 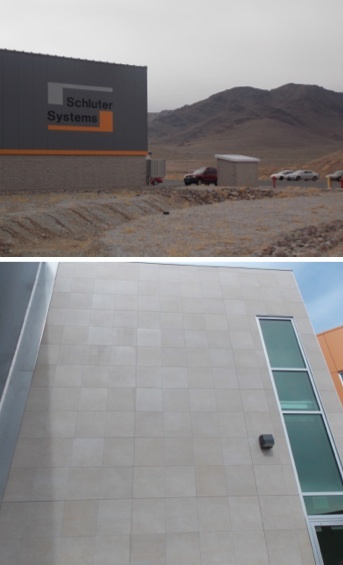 Schluter-Systems’ new LEED Gold certified building is located just outside Reno, Nevada, and offers a picturesque view of mountain ranges on the horizon surrounded by terrain adjacent to the property with running streams and wild horses roaming freely on the land. In addition to the state-of-the-art facility, Schluter’s 97,500-sq.-ft. building is strategically located to offer increased service and faster delivery of products for their west coast distributors, dealers and contractors. It is also an ideal location for training and educational programs. The facility features a multitude of sensible and sustainable technologies to maximize energy efficiency, water usage and air quality. 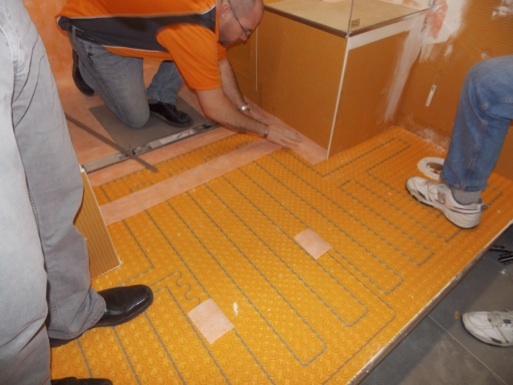 The Schluter Reno building used thousands of square feet of tile in both interior and exterior applications, and acted as a virtual hands-on research and development project. 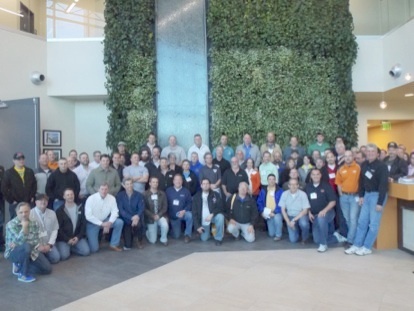 Schluter recently hosted over 75 NTCA members for a training and educational seminar and tour of the facility. This was also an excellent opportunity for NTCA staff to update the attendees on association direction and strategic planning. The program included a complete presentation and tour of the building, which was in essence a hands-on research and development project for Schluter. Many of their products are showcased throughout the facility, offering a great example of how conventional building methods continue to evolve, and how tile and stone can be key elements in the successful implementation of sustainable systems that maximize energy efficiency. Andy Acker, a leading trainer and presenter for Schluter-Systems, was the lead speaker and facilitator of the program, which consisted of two complete days of highly-engaged interaction. 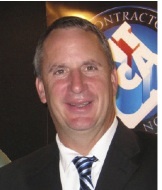 Former NTCA regional director and contractor John Trent, who is currently employed with Schluter, was instrumental in putting the program together and assisting in its development and promotion. Topics discussed in the first day of the training seminar included lengthy interaction on the principle of uncoupling, covering details from the TCNA Handbook and thin-set installations. New product introductions included a preview of the new Ditra-Heat system, which was recently introduced to the trade. NTCA and Schluter leaders then held an open-forum discussion on installation practices and business strategies before heading out to a fabulous dinner. Dee DeGoyer of Schluter-Systems was the tour presenter and explained the detailed planning that went into the state-of-the-art facility. Day Two consisted of the NTCA strategic planning update and a Schluter presentation on moisture management, including a lengthy discussion of waterproofing and examining details of both the TCNA and Schluter installation handbooks. Presentations on Schluter Kerdi Board and their innovative profiles as solutions to challenging installations completed the morning sessions. 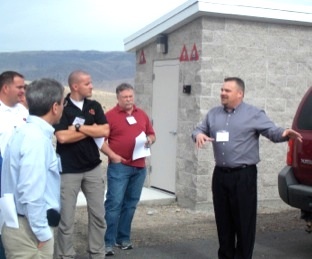 After lunch, all of the attendees broke into groups and moved into the training center locations, where several territory managers were ready with demonstrations of products in carefully-constructed modules. All of the groups had time to see the hands-on training demonstrations, ask questions and make comments, and move on to the next module. One of the highlights of the seminar included round -robin presentations in small groups of Schluter pw2ju22XZ(922fgroducts and systems. 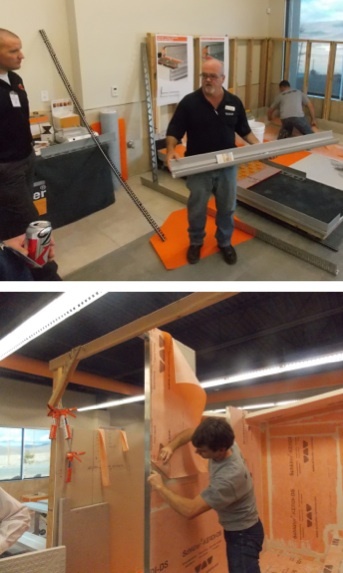 The educational portion of the event concluded with presentations by Schluter leaders offering a glimpse into the future, sharing some strategies of products currently being considered for development. Schluter also shared their position on supporting Certification through the CTEF programs, and pledged to support the ACT Certifications currently being offered. 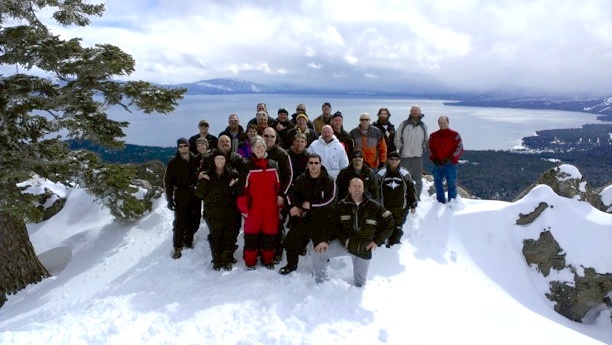 Many of the attendees stayed an additional day to go skiing, snowboarding and snowmobiling in the beautiful mountains located near Lake Tahoe. By all accounts, those that stayed the extra day were treated to a memorable experience. Schluter-Systems and NTCA leaders agreed that future meetings of this nature would continue to provide value to our members. New products demonstrated at the seminar included the Ditra-Heat system, which will be on display at Coverings. Several attendees took the extra day offered by Schluter to enjoy the winter climate with skiing, snowboarding and snowmobiling adventures. Over 75 NTCA members attended the training seminar at the recently completed Schluter-Systems LEED Gold Certified building in Reno, Nevada. Good Samaritan Regional Health Center, a 142-bed, 500,000-square-foot hospital and Medical Plaza in Mt. 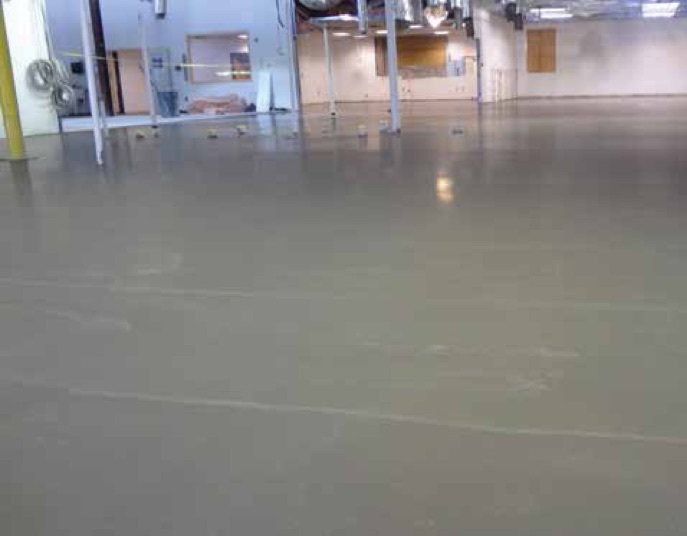 Vernon, Ill., used TEC® products for the successful installation of a wide variety of flooring and wall materials. The new Good Samaritan Regional Health Center, con- structed by McCarthy Building Companies, Inc., replaces the existing hospital, which served the Mt. Vernon community since 1952. Through its design, the new hospital demonstrates how a pleasant interior environment can contribute to positive patient outcomes. At Good Samaritan, designers achieved a warm aesthetic by using a variety of fl oor and wall coverings – including carpet tile, porcelain, ceramic and quarry tile, stone and sheet vinyl. TEC® products were used to install all of the floor and wall materials. The Good Samaritan team used TEC® from H.B. Fuller Construction Products as the sole point of contact for their flooring and wall tile installation needs. Having just one point of contact allowed easier access to technical support during this potentially complicated project. The installers used TEC® products to prepare surfaces for both dry and wet environments. 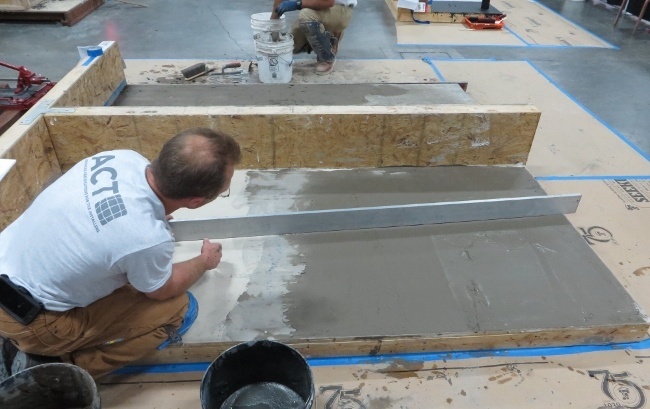 The LiquiDAM® Penetrating Moisture Vapor Barrier was applied to the concrete substrate. Blocking moisture vapor was an especially important consideration with the sheet vinyl used in patient rooms, as sheet vinyl installations tend to have a very low moisture tolerance. Smooth Start™ Self Leveling Underlayment, PerfectFinish™ Skim Coat and Fast-Set Deep Patch readied the substrate prior to the application of adhesives. In various parts of the building – including the lobby and entryway, restrooms and kitchen – designers opted for porcelain, ceramic, quarry tile, and stone. With these products, the installers used Full Flex® Mortar, Medium Bed Mortar and Ultimate Large Tile Mortar. 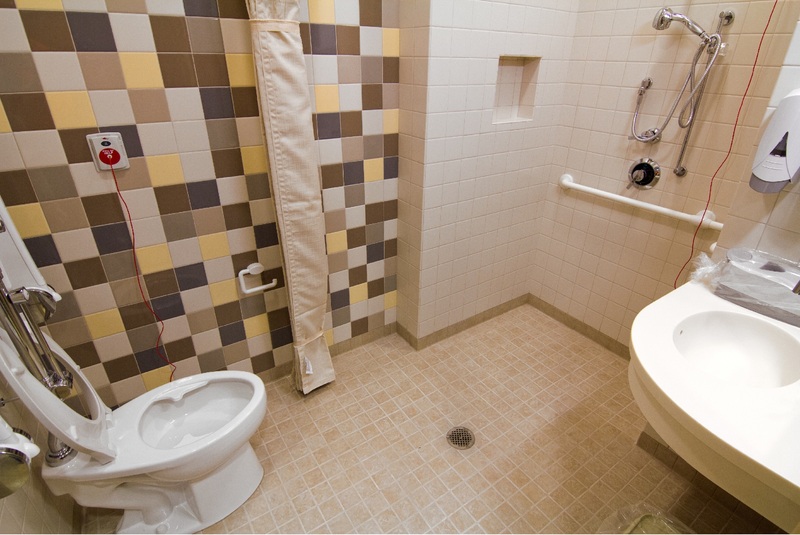 TEC® grouts and caulks in a range of colors complemented the tile used throughout the hospital. The installer used AccuColor® Premium Sanded Grout and AccuColor® Premium Unsanded Grout in a variety of colors. Grout Boost® Advanced Pro Grout Additive was used for additional stain resistance. Lastly, AccuColor 100® 100% Silicone Sealant, AccuColor® Sanded Siliconized Acrylic Caulk and AccuColor® Unsanded Siliconized Acrylic Caulk were used to match the grout colors. In patient showers and restrooms, the installers performed flood testing of TEC® HydraFlex™ Waterproofing Crack Isolation Membrane. TEC® products met all of their performance require- ments. A wide range of TEC® adhesives – including Solid Vinyl Plank and Tile Adhesive, Clear Thin Spread Adhesive, Releasable Pressure Sensitive Adhesive and Premium Fast Grab Carpet Adhesive – were used to achieve long-lasting bonds with wood-looking sheet vinyl and carpet tile. 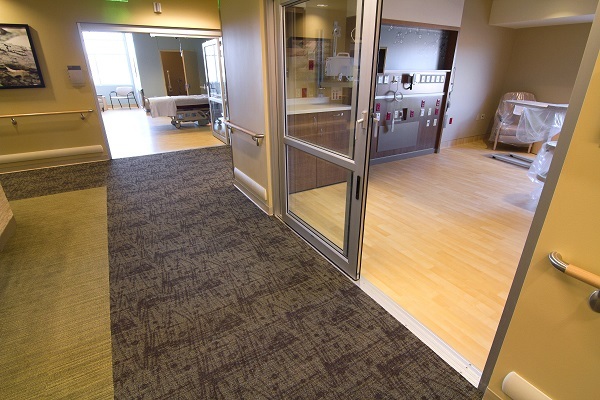 Carpet tile was used in the hospital’s corridors, offices and waiting areas, while sheet vinyl was installed in cor- ridors and patient rooms. “We are very happy with the final result,” said Mayo. “Once again, TEC® helped us achieve our desired look and provided the functionality we needed along the way to execute that look.” Flooring Systems, Inc., was recent- ly awarded runner-up honors in TEC®’s recent “Imagine Achieve” contractor competition for this project. The $237 million hospital was announced in 2009 and broke ground in April 2010. Patients were transferred there in January 2013. For more information about TEC® visit tecspecialty.com. Ceramic tile continues to reign as one of the most favored design staples in the floor-covering industry because of its performance, design versatility, color options and beauty. The range of design possibilities with ceramic tile is truly endless, which affords tile manufacturers the opportunity to meet the varying needs of residential and commercial audiences through extensive portfolios of stylish floor and wall tile options – but there’s more to a tile installation than the tile itself. How tile is laid can change the look and feel of any space – and there are so many exciting tile patterns to choose from and ways to use them to a space’s best advantage. No matter how you want to alter the appearance or scale of an installation, there’s a tile pattern designed to work for you. Using any classic tile pattern can help transform a standard tile job into an extraordinary one. Considering the wide variety of tile and trim tiles available, the possibilities are limitless. Many of today’s most popular tile patterns are inspired by the emerging trends driving modern design. These trends take some time to get seeded, but once a trend is identified, it tends to evolve and last for years. The most popular shapes right now are rectangular large formats and planks, which are often being used on both the floor and on the wall. 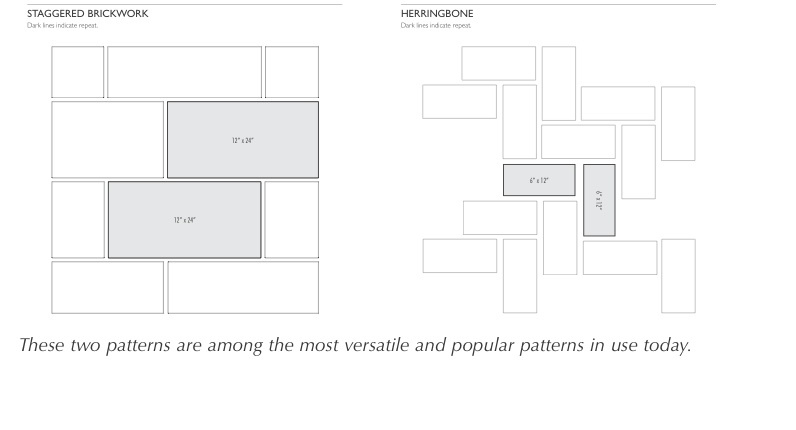 This results in many more pattern options, which designers are utilizing more frequently to create unique designs. For larger format sizes, the most popular patterns are Running Bond, Straight Joint and Third Stagger. Running Bond is a basic yet beautiful layout, also called a brick or offset pattern. In this pattern, the tiles are offset by half the width of the tile, offering a timeless look for almost any style. With each joint centered over the tile below, this pattern resembles classic brickwork. Larger formats (any side measuring over 18”) require an offset of no more than 33% when installed in this pattern. Straight Joint is one of the simplest tile patterns that showcases the beauty of every tile. The straight joint pattern offers a more contemporary, linear look. Whether tile is installed vertically or horizontally, the pattern’s clean lines make any space feel taller or wider. Third Stagger is a variation of the Running Bond layout that features a stair-step pattern with each joint offset 1/3 from the row of tiles below it. 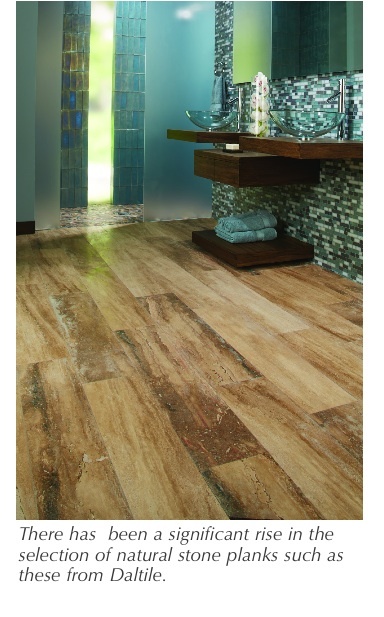 These larger format sizes (12”x24”, 18”x36” and 24”x48”) offer a more transitional, clean look and have less grout. Running Bond and Third Stagger provide a traditional spin on the modern cut tile, while the Straight Joint offers a more modern look. For plank sizes, the most popular patterns are Chevron, Herringbone and Random Stagger. 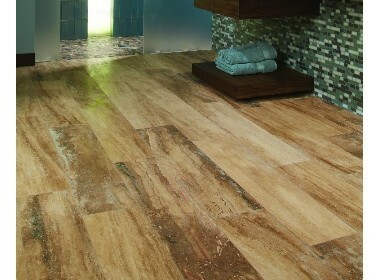 The rise in popularity of these layouts is due in part to wood-look tile, one of the hottest trends in the marketplace. What was first introduced as a traditional take on hardwood floors has evolved to include more colors and textures to choose from than ever before. There has also been a significant rise in the selection of natural stone planks due to the beautiful vein-cut natural stone options being offered today. Chevron is an inverted V-shaped pattern. In this design, all planks are the same length and the pieces are installed at an angle to match up perfectly with one another. This creates a perfectly straight line on both sides of the planks. Herringbone is very similar to Chevron, but instead of having the ends line up with one another, they overlap, creating an entirely different and unique look. Mosaics are also “must-haves” right now, especially in kitchen backsplashes, shower walls and floor accents. The texture and color movement possible with these mosaics add a depth, sparkle and luminescence to any space. In terms of mosaic patterns, if you can imagine it, you can create it. From vivid colors and on-trend shapes to unique patterns and bold borders, one simple design can turn any space into an incredible work of art. There are hundreds of patterns and borders available that can be modified to complement any design scheme. 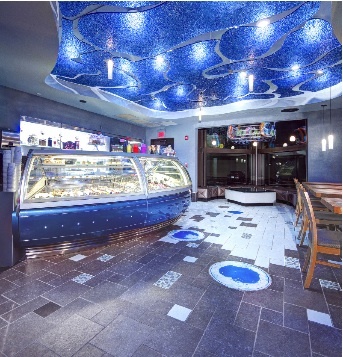 Many mosaics are available in custom (made to order) and standard patterns that can be used in any application. 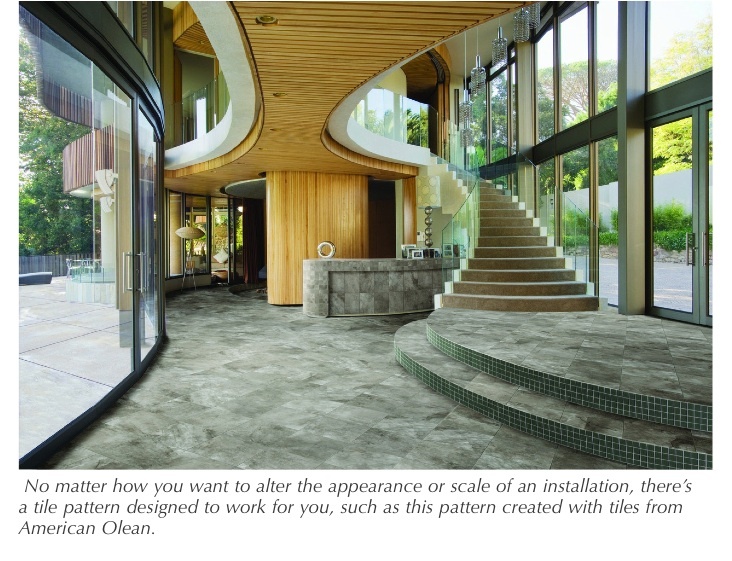 The primary challenges with large-format tile patterns are foundation and installation. For large-format tiles, the foundation must be perfectly level, which at times requires extensive preparation work for the surface. It may also require a crack-prevention membrane. Also, during installation it may require extra setting material and extra manpower, since the large tiles may be difficult to maneuver. When in doubt, always refer to the industry standards. Industry standards include the 2013 TCNA (Tile Council of North America) Handbook for Ceramic, Glass, and Stone Tile Installation, which includes Natural Stone Tile Selection and Installation and Assembly Methods for the Installation of Stone Tile. 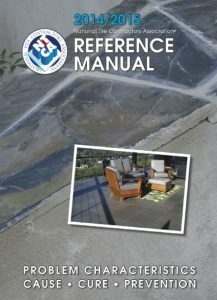 In addition, consult the current Version 2013.1 edition of ANSI A108, A118, and A136.1 (Visit the NTCA store at www.tile-assn.com, click on Books & Periodicals). For more information and diagrams on tile patterns, visit tile manufacturer websites such as www.daltile.com/information/tile-patterns, http://americanolean.com/patterns.cfm, or www.daltile.com/programs-services/custom-tile-services/mosaic-borders-patterns/1-x-1. 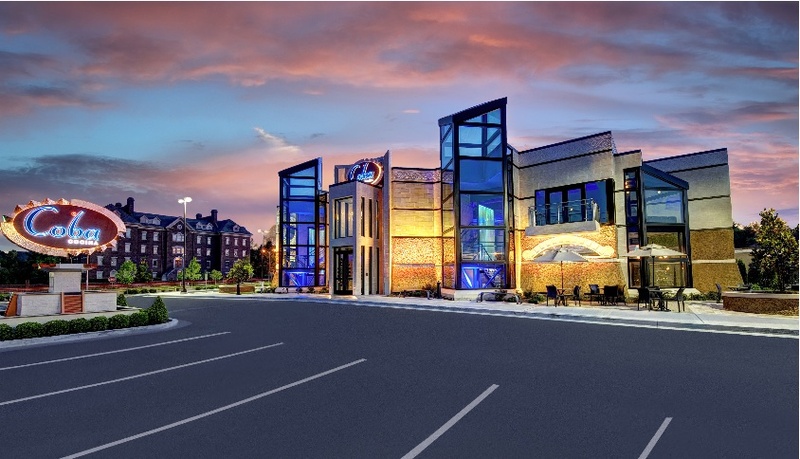 Coba Cocina Restaurant in Lexington, KY contains more than 60,000 square feet of glass, porcelain and ceramic interior and exterior tile, all installed with TEC® Power Grout® and IsoLight™ mortar. The project team decided that the best material to simulate the limestone bedrock and underwater atmosphere would be a variety of tile. To achieve this intricate look, the team immediately turned to TEC products because of their wide variety of options and ultimate performance. 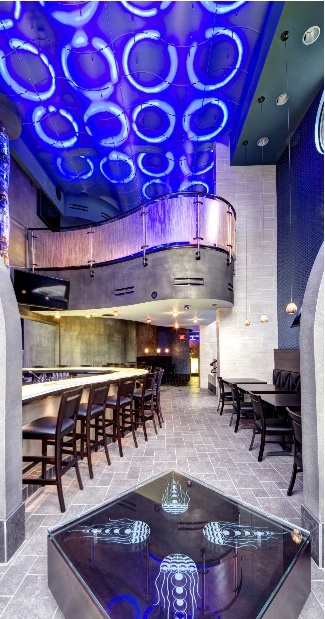 TEC Power Grout Ultimate Performance Grout was used for all tile applications on Coba Cocina. It provides permanent stain resistance, crack resistance, efflorescence resistance and superior color uniformity. 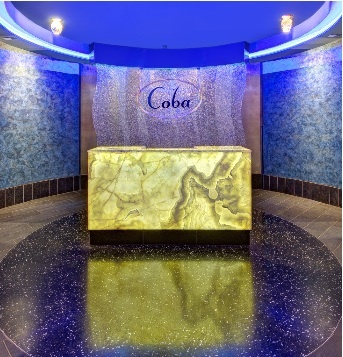 Power Grout is available in 32 color options that match the latest design trends – yet another advantage for the Coba Cocina design and project team. 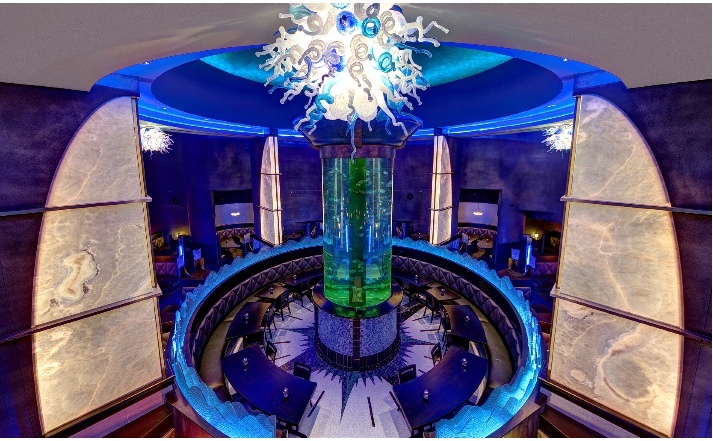 By using ceramic and glass tile of various sizes and colors, including iridized blacks, greens, golds, silvers and aqua, on the floors and walls, restaurant patrons can experience a sense of underwater movement. The exterior of the restaurant is covered in solid porcelain tile that gives it a travertine look. The large-format 12”x24” tile is set using the same TEC products as the interior. IsoLight and Power Grout are both ideal for outdoor installations. Visit tecspecialty.com to learn more about TEC products. Grout in Tile Specifications – What is the Real Cost of Grout? 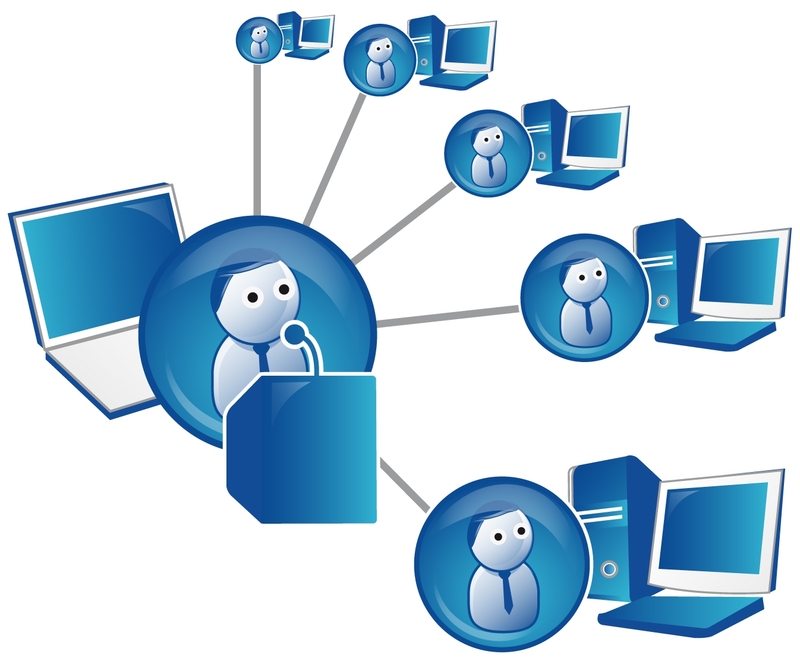 The latest NTCA Webinar is slated for November 20. The subject is “Grout in Tile Specifications – What is the Real Cost of Grout?” presented by Mike Micalizzi, and sponsored by Custom Building Products. 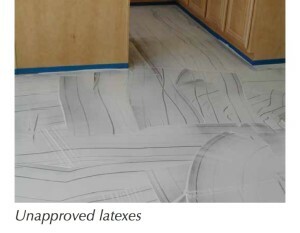 Click on Training/Education opportunities at www.tile-assn.com for more information and to register.